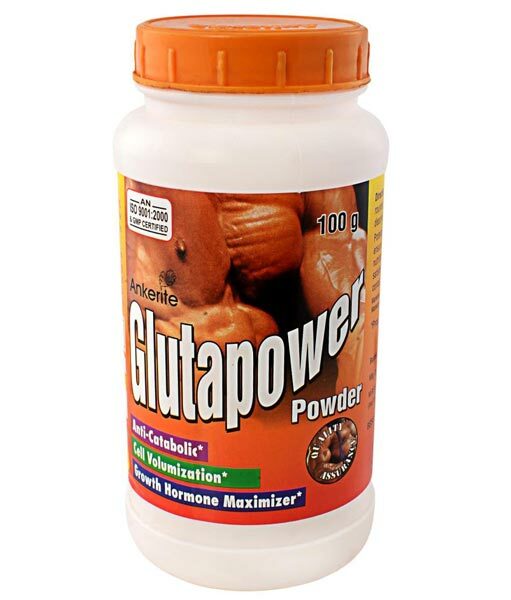 Ours is a well-known name involved in offering quality glutapower powder. We are the noted Gluta Power Natural Powder Suppliers in Lucknow. Our Ankerite Glutamine power is a flavourless, easymixing, pure, free amino acid formul. Ankerite's Glutamine is the abundant amino acid found in the skeletal muscle and is heavily metabolized under intense training conditions. Studies reveal that Ankerite. Glutamine supplementation can help support recovery after intense training by promoting energy repletion, maintaing a healthy immune system and maximizing your buffering capacity against acid build-up. Enhance your training and nutrition program with Ankerite Glutamine Powder.